Democrats making it clear they’re now on the hunt. Now in control of the house, of course, after the midterms, they are ramping up their investigations of president trump, launching several investigations into the president, his family, his finances. And also we’re learning tonight, they’re asking for notes, any documentation for the president’s conversations with Vladimir Putin. At times, only translators were if the room, at times, only a Russian translator. ABC’s Mary Bruce up on the hill tonight. Reporter: Tonight, as Democrats launch a sweeping investigation into allegations of corruption, obstruction and abuse of power, president trump insists there’s nothing to see here. Mr. President, are you going to cooperate with Mr. Nadler? I cooperate all the time and with everybody and you know the beautiful thing, no collusion, it’s all a hoax. Reporter: But Democrats are going far beyond just the question of collusion. The house judiciary committee today demanding documents from 81 people and entities close to the president, including members of his family, sons don Jr. And Eric and son-in-law Jared Kushner. Some of trump’s closest former aides and advisers, like Steve Bannon, hope hicks and former white house council don Mcgann. His current campaign manager Brad parascale and the trump organization’s chief financial officer Allen weisselberg. Chairman Jerold Nadler says the judiciary committee, which has jurisdiction over impeachment, is making these requests to “Begin building the public record.” Impeachment is a long way down the road, we don’t have the facts yet. Reporter: Democrats want to explore everything from the firing of former FBI director James Comey to the hush money payments to stormy Daniels to the president’s meetings with Vladimir Putin, and whether he and his family are profiting from the presidency. But trump has said it all amounts to presidential harassment. And all of the sudden, they’re trying to take you out with , okay? . 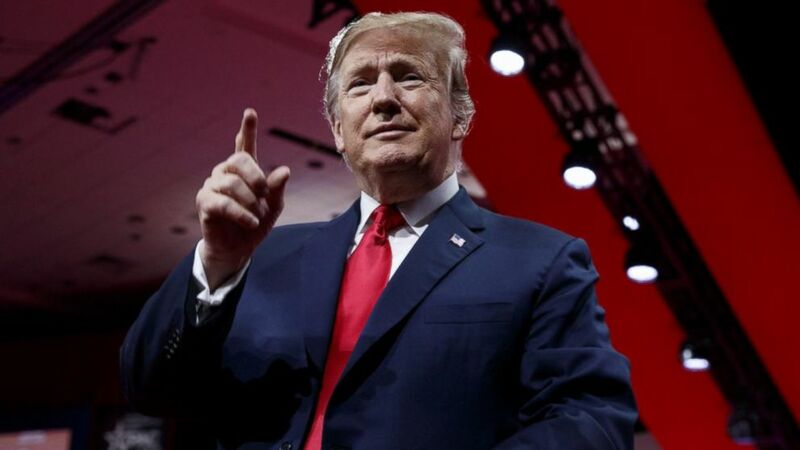 Reporter: In a meandering, two-our off-script speech this weekend, the president ripping into his democratic opponents. They don’t have anything with Russia. There’s no collusion. So, now they go and morph into, let’s inspect every deal he’s ever done. We’re going to into his finances, we’re going to check his deals, we’re going to check — these people are sick. They’re sick. And Mary Bruce with us live tonight on capitol hill. And Mary, we’ve learned that three other committees are requesting any and all information about the president’s conversations with Vladimir Putin? Reporter: David, Democrats made clear today, they are demanding to talk to anyone who had any inside access to those private conversations between the president and Putin, including the translators. And they want to see any notes or records related to their communications, whether they were those in-person meetings or even phone calls.